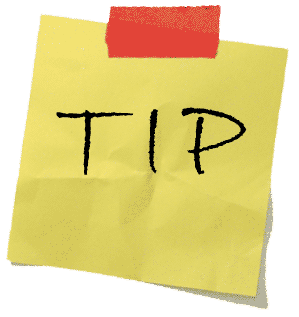 If you liked my speedy QR code tips before, you're going to love the tip I have for you today. Ever since the Android web Market was launched, I found myself loading the homepage just to make a search approximately 17 million times a day, give or take a few. As you know, the web Market homepage is quite heavy, so loading it just to make a search, especially while tethering on a slow connection, was starting to get kind of annoying. In an effort to save both time and clicks (hello, Carpal Tunnel), I've created a much handier way of firing up a search with only a few strokes and without the need for any tools outside of Firefox or Chrome. Here's how it works - I go to the url bar, type in ams, press Space, then the search term, and Enter. The search is immediately performed. 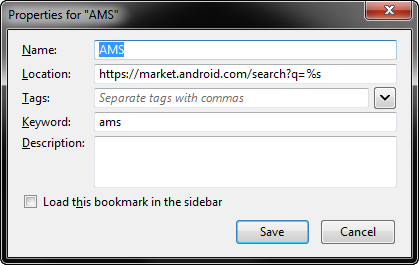 I named mine AMS for Android Market Search because I add a ton of shortcuts to the Bookmarks Toolbar, where space is limited, but you can name it whatever you want. Enter the location as https://market.android.com/search?q=%s and pick a short keyword, such as ams. 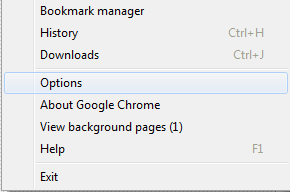 An even better and more elegant solution exists for Chrome since it uses a single bar for searching and entering urls. "Android Market" - "ams" - https://market.android.com/search?q=%s. And voila - now you're searching the Android web Market like a boss. For more tips, reviews, news, and other Android content, follow @AndroidPolice on Twitter, like us on Facebook, or subscribe to the RSS feed.